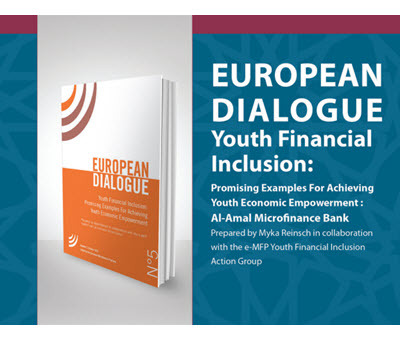 The purpose of this publication is to contribute to the microfinance sector’s collective knowledge base by sharing examples of promising youth financial inclusion programs around the world and the lessons emerging from them. By sharing case studies that illustrate a variety of service combinations, approaches and delivery models, the European Microfinance Platform (e-MFP) seeks to provide the reader with useful reference points for offering savings, credit and non-financial services (especially training and mentoring) to youth. The following examples have been selected not to make a case for a particular approach and not necessarily because the organizations have the right formula – in most cases the products and initiatives are too recent for conclusions to be drawn about their long-term sustainability and demonstrable impact on youth lives and livelihoods. But members of the e MFP Financial Inclusion Action Group believe these cases offer valuable lessons learned and experiences to consider as the practice of youth financial inclusion expands and evolves.